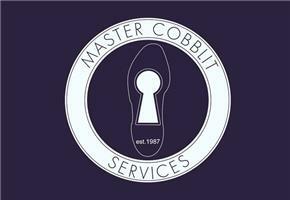 Master Cobblit Services - Locksmith based in Epsom, Surrey. We are a small family run business trading since 1987 and our business premises are located in Epsom town centre. We are also fully qualified members of the "Master Locksmiths Association" and fully insured. Our services include: Wide range of keys cut, Non-destructive gain entry service, Locks supplied and fitted, UPVC locking mechanisms, Insurance approved upgrades, Bars and grilles fitted, Burglary repairs, Domestic safe opening, Supply and fitting, Access control, 24hr call out service.